It came from beneath the sea! 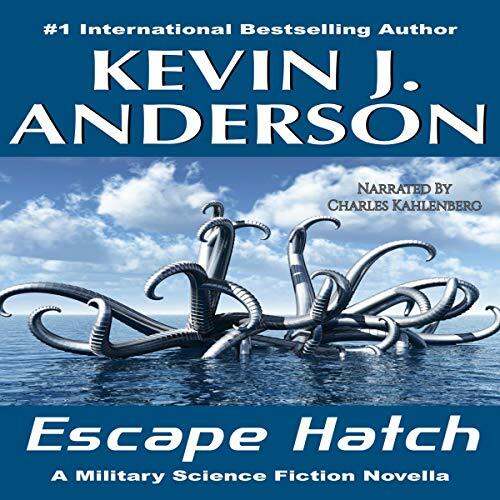 The hideous alien “sluggos” have arrived, bloodthirsty, tentacled aliens that infest the oceans of Earth, and it will take the best military minds of the Planetary Navy to defeat them. Admiral Bruce Haldane has faced the sluggos in engagement after engagement, and the humans are slaughtered each time. Fortunately for Haldane, though, because of his high rank, he has an “escape hatch” - at the last moment of a military defeat when his own death is certain, he can swap his consciousness with another safe body, a “cannon fodder” recruit who exists only to be ready in case he needs to make the ultimate sacrifice. Paulson Kenz is one of those cannon-fodder recruits, too weak and wimpy to be appropriate for the battlefield, but he doesn’t want to go down without a fight. Knowing that at any moment he might find himself transported into a horrific last stand against slavering aliens, he has to become an even greater military genius than Admiral Haldane himself.